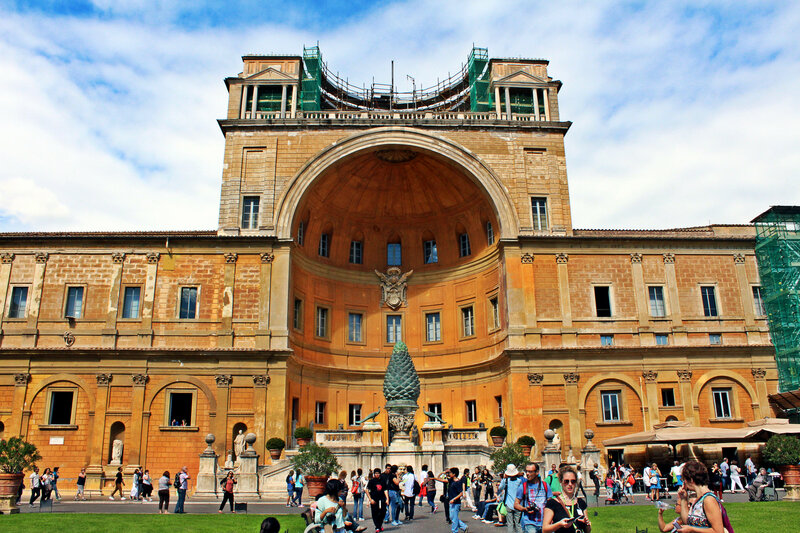 Vatican has always been on my bucket list. The smallest country in the world which also happens to be the biggest art museum, seemed like a great place to spend a day while visiting Rome. Everything is so grand. Gives you a real feeling of how rich and prosperous the Catholic Church has been. Every building, every room, every corner either has a piece of art or is a piece of art. 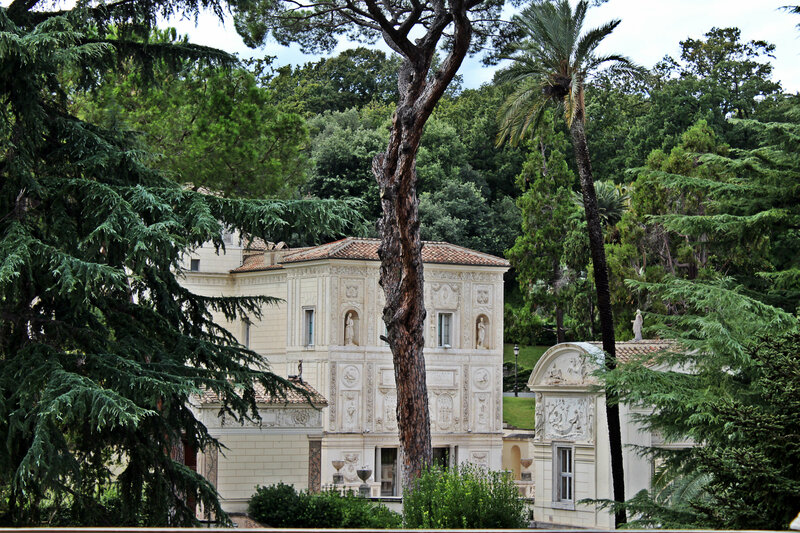 Pigna – the pine cone that dates back to the first century – the Roman times. 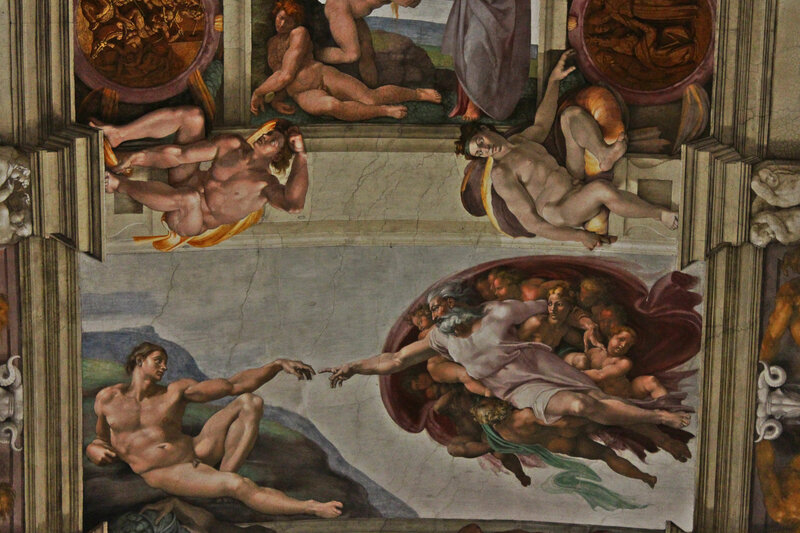 Even though taking photos in the Sistine’s chapel is not permitted, Ben managed to snap The Creation of Adam by Michelangelo. 🙂 This would be the view from your room if you lived in Vatican. We didn’t go inside the St Peter’s Basilica, but went to admire the view of St Peter’s, Bernini’s Colonnade and Maderno’s fountain. 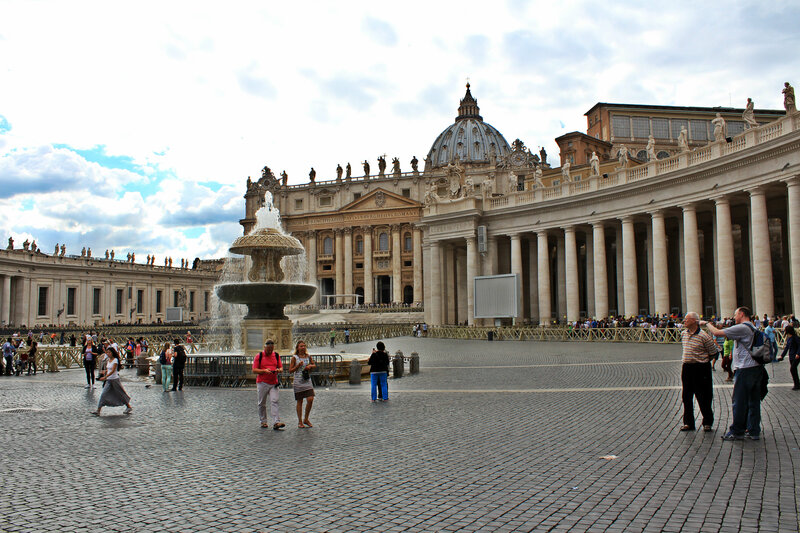 Vatican is a must when visiting Rome, whether you are religious or not. It’s a beautiful, monumental place of European history. Make sure you wear comfortable shoes – there are a lot of steps in the museums! Dress conservatively, cover your knees and shoulders.